Why have just one capital city when you can be home to a couple of them? Bolivia’s official capital is Sucre while La Paz is the seat of government. Trying to figure out where to put that star on the map has reportedly driven more than one cartographer crazy. You say "potato," I say, "What kind?" 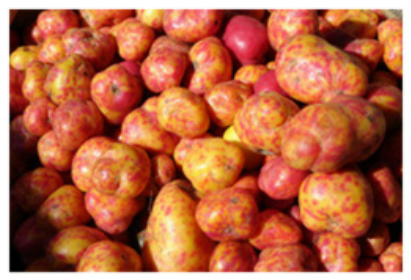 The Irish might have made them famous, but potatoes actually originated in the Andes, where there are currently more than a thousand different varieties. Needless to say, it’s not the best place to start your low-carb diet. Brazil may beat Bolivia when it comes to soccer points, but not when it comes to creating excessively large images of Jesus Christ. 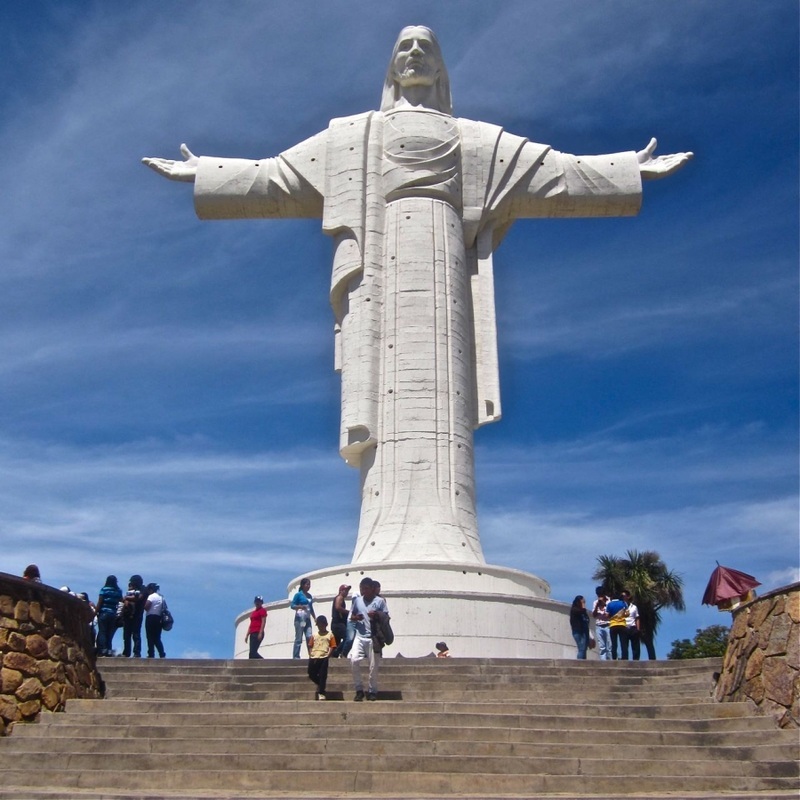 The towering Christ the Reedemer statue in Rio de Janeiro is more famous, but it is surpassed thirteen feet in height by the Cristo de la Concordia in Cochabamba, the tallest Jesus statue in the world. God is literally huge in Bolivia. At 12,000 feet, La Paz is the highest capital city in the world, but along with this claim to fame comes the problem of altitude sickness. Bolivians claim that “soroche” can be cured with a dose of coca leaves, taken in the form of herb tea or simply by placing a wad of the leaves in the side of your cheek and sucking on them for an hour or until your teeth turn green, whichever comes first. Perhaps because of this natural remedy, Bolivians tend to scoff at the idea of high altitude. The temperate valley region located around 8,000 feet above sea level, nearly 3,000 miles higher than our own “Mile-High City” of Denver, is considered “lower altitude.” Neighboring countries are not as easily convinced. A controversy erupted in 2007 when the South American soccer association (called by its Spanish acronym FIFA) forbid matches from being played in La Paz due to the potentially detrimental health effects of the city’s high altitude. Apparently it’s tough to chew on coca leaves and hit the ball with your head at the same time. What is currently the poorest country in South America was once home to the wealthiest city in the world. By the end of the Sixteenth Century, Potosi had twice the population of either Paris or London and was home to the richest silver reserves on Earth. Unfortunately, instead of investing in Bolivia’s infrastructure, all of that silver went back to Spain, some of which was used to build the Spanish Armada. To this day, when Bolivians want to talk about money, they rarely mention “dinero” — instead they say “plata,” the Spanish word for silver. 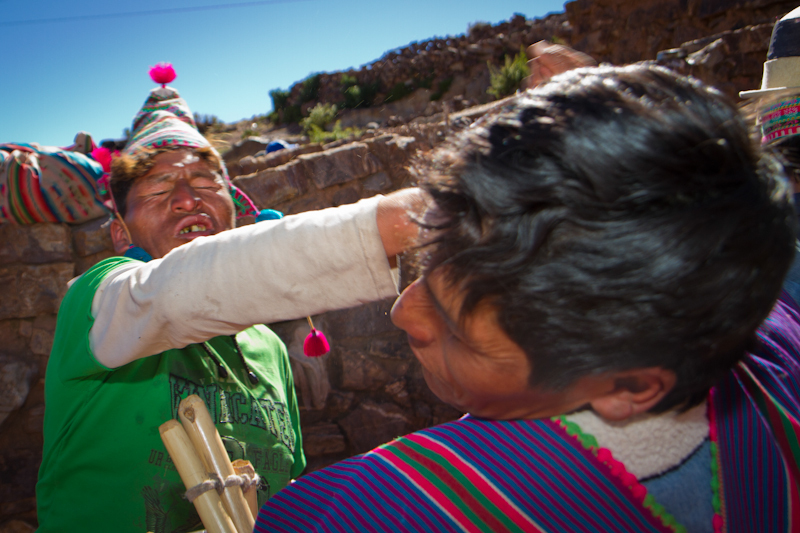 Tinku means “encounter” in Quechua, but it’s really more of a Bolivian “Fight Club.” Each May, residents of the village of Macha get together for several days of officially sanctioned smacking each other around. An indigenous ritual that dates back nearly a thousand years, the event is filled with copious quantities of alcohol, music, and broken noses. Men square off against each other using rocks or just their fists, sometimes to the death. In a country famous for its machismo, once a year even women are encouraged out of the kitchen — and into the fighting ring. The annual event is a tribute to the Andean Earth goddess Pachamama. The belief is that spilled blood will appease her and ensure a fruitful harvest, which also accounts for the llamas sacrificed during this period. Anthropologists argue that this tradition has a long history of creating cultural identity and preventing full-scale war amongst tribes. My take on this: What can you expect in a nation unfamiliar with Tupperware parties? Who says there's no such thing as free rent? The roads are chaos, guinea pig is often on the menu, and the altitude can wreak havoc with your system, but hey, you can’t beat a country that offers free rent. Assuming you have capital up front, you can enter into an anticrético contract in which you offer your landlord a lump sum of cash, which is returned to you in its entirety once you vacate the premises. The idea is that the property owner takes this money and invests it, making a profit on your funds and returning the principal to you. It’s pretty much win-win for everyone, but you need a large chunk of change to start with, at least several thousand dollars, and you have to agree to stay in the house or apartment for a year or more. Try pitching that idea to your next landlord. Bolivia is one of the world’s few landlocked countries. Ask why and you’ll invariably hear a lot of bad things about their neighbors to the south. Bolivia lost its coast to Chile in 1879, around the same time this bellicose country also usurped a good chunk of Peru in the War of the Pacific. If lack of ocean access isn’t reason enough to inspire a country’s wrath, add the fact that Chileans also deprived Bolivia of its thriving guano industry. That’s right: Bolivians are upset about losing their bird poop. The reason? The droppings from seals and seabirds are an effective fertilizer and also can be used to make gunpowder. Then again, Bolivians have good reason to be bitter. The country has lost every single international war since gaining its independence from Spain in 1825. And it doesn’t help matters that in the Nineteenth Century, President Mariano Melgarejo gave away a huge chunk of national territory to Brazil in exchange for a horse. How do you say, “Don’t look a gift horse in the mouth” in Portuguese? Bolivia is home to the second-largest natural gas reserves in South America. In fact, a large number of cars are powered by this fuel. Natural gas is sold alongside diesel and gasoline at service stations, dispensed from a pump not much different than the one used to put air in car tires. And you don’t have to fill up your natural-gas tank on your own. A tightly clad, made-up woman will do the job for you. In a country known for its machismo, strangely enough, gas stations are staffed exclusively by young women. Natural gas also has been the subject of more than one political controversy. In 2003, the Gas War took place, which resulted in 60 deaths and the ouster of President Gonzalo Sánchez de Lozada over his decision to build a gas pipeline for exportation purposes through Chile, Bolivia’s old enemy and the country responsible for usurping Bolivia’s coastline. When Carlos Mesa, the succeeding president, refused to bow to pressure to nationalize the hydrocarbons industry, he too was forced to resign as tens of thousands of protesters shut off all roads in and out of La Paz, bringing the city to a standstill. The moral: Bolivians take the problem of gas very seriously. As if that weren’t enough, the Water War was fought in 2000 when a consortium of international companies (from the United States and Europe) privatized the Bolivian water system. When they attempted to raise prices by 35 percent, water was suddenly out of the price range of a good percentage of Bolivian citizens. Violent street protests ensued with soldiers sometimes shooting into the crowds. The conflict was finally resolved with the ouster of the international companies and a return to government control over water resources. In a country known for its utility wars, what could possibly be next? Electric company, start counting your weapons! The official currency is the boliviano, worth around 14 American cents. However, don’t be surprised to hear prices quoted in “pesos,” a slang term for the boliviano. Are you insane or just drunk? When film director Steven Soderburgh was in Bolivia shooting Che: Part Two, he tried singani and liked it so much, he started his own company, Singani 63, which imports singani from Bolivia and aflixes Soderburg's label to the bottle. Invite your llama to lunch. The good thing about having a pet llama? You can eat him when times get tough. 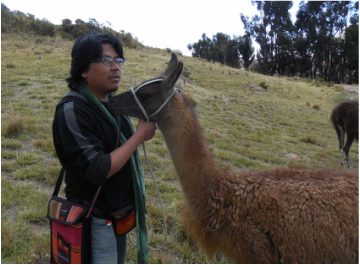 In Bolivia, llama is a common dish, eaten in the form of charki (which we mispronounce “jerky,” one of the few English words that comes from the Quechua language). Llama meat is dried with salt and later fried in oil, making a tasty and nutritious meal, even if it’s not exactly what you’ll find at the counter of your local 7-Eleven. When two parasites join forces, it rarely spells good news for us humans. In Bolivia, more than a million people are estimated to be infected with Chagas Disease, a serious illness with often-fatal consequences. The grim process starts with the vinchuca beetle, also known by its misleadingly optimistic name, the “kissing bug.” Vinchucas live in the thatched roofs of adobe houses and come out at night to feed. For the most part, they’re annoying bloodsuckers. However, the dangerous ones are infected with an additional host, a single-celled organism called Trypansoma cruzi, which enters a person’s bloodstream and begins looking for a place to live and reproduce, often the brain or intestines, though the heart is its most frequent choice of accommodation. Heart attack or organ failure follows, though it takes a while. Symptoms often aren’t present for a decade or even longer. 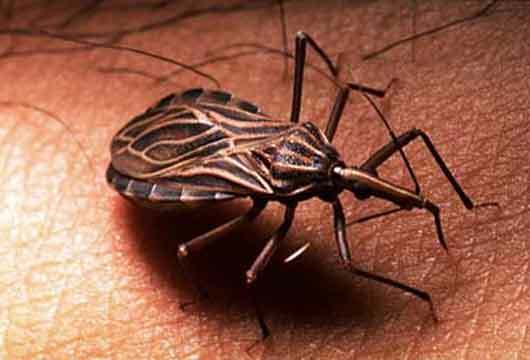 Chagas Disease is serious and widespread in Bolivia, and there is treatment but no cure. Fortunately, government efforts have helped to decrease its rate of contagion. The easiest solution? Helping villagers in the countryside replace their thatched roofs with corrugated metal ones, which quickly and easily eliminates the vinchuca beetle’s nesting place. Do you have a cold or are you just speaking Quechua? Spanish remains the most commonly spoken language and is the one children use at school, however, the country is also home to a handful of other official tongues. Aymara is used in La Paz and its outlying regions, and Guarani is heard in jungle areas to the east, though its use is declining about as fast as the rain forest where it is spoken. In Bolivia, don’t be surprised if your taxi driver keeps picking up other passengers along the route to your final destination, or if he expects you to slide over and squeeze two people into the front passenger seat. Taxi-trufis are collective cabs that cost the same as bus fare, an inexpensive albeit crowded way to save on commuting expenses. Also be prepared to advise your taxi driver how fast he’s going. Many cars are imported from countries where speedometers are typically on the right side of the car. Once they get to Bolivia, the steering wheel is switched to the left, but this process is too complicated and pricey when it comes to the speedometer, which remains in front of the passenger instead of the driver. And forget traditional taxi yellow. In Bolivia, white is far more common, though cabs can actually come in any color. The reason for this? All it takes to become a taxi driver is owning a car and purchasing a large windshield sticker that reads, “Taxi.” Seriously. What's up with all those women in bowler hats? This is my friend, Doña Celina. If you'd like to meet her (or me), come to Copacabana, Bolivia. Stay in our rustic adobe cabins and enjoy a visit to the breathtaking Lake Titicaca. Click on Cabins for more details. What most people consider to be the epitome of Andean fashion — a woman with a baby on her back wearing a colorful gathered skirt and bowler hat — actually originated in Spain. Cholitas, the modern-day name for women who adopt this outfit, were initially forced to don the ruffled pollera skirts fashionable in Spain during the colonial period. The bowler hat was added in the 1920s when a shipment of this headwear arrived for the Europeans working on the railroads. Some versions of this story claim that the hats were the wrong size; others insist the hats were the wrong color. In any case, they were distributed to the locals, and the rest is fashion history. To complete the cholita look, the pollera and bowler hat are sometimes accessorized with a colorful native textile called an aguayo, which is wrapped around the back and used to carry everything from vegetables to offspring to cell phones, which few cholitas are caught without these days. The aguayo works for hauling just about any item but money, which is kept safe in a small coin purse tucked away in the woman’s bra. Ironically, in spite of its international origins, this outfit has become closely identified with Bolivian ethnic identity, and its use is widespread. In large cities such as La Paz or Cochabamba, it’s not uncommon to see cholitas on the street walking past cosmopolitan women in business suits. And the fashion varies by region. In Cochabamba and Potosi, the pollera is a knee-length gathered skirt that is often made of velour. 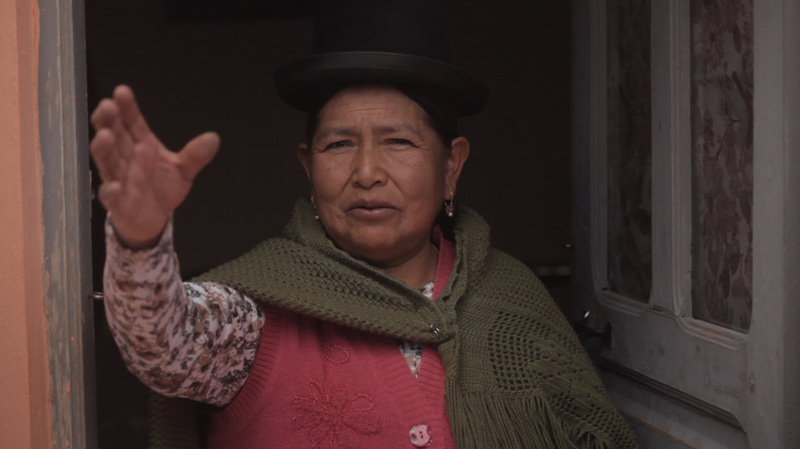 The women of La Paz favor longer lengths, louder colors, and layers of ruffles. However, the cholita way of dressing does come with a dose of discrimination. It is considered a lower-class outfit, and most women who aspire to higher posts discard it. Case in point: President Evo Morales has caused outrage among the general public by appointing several pollera-wearing women to cabinet posts. At presidential balls, white tie is now optional — as is the bowler hat.